This course is OUR GIFT to Athletic Directors and other people who are responsible for leading coaches within an athletic organization. 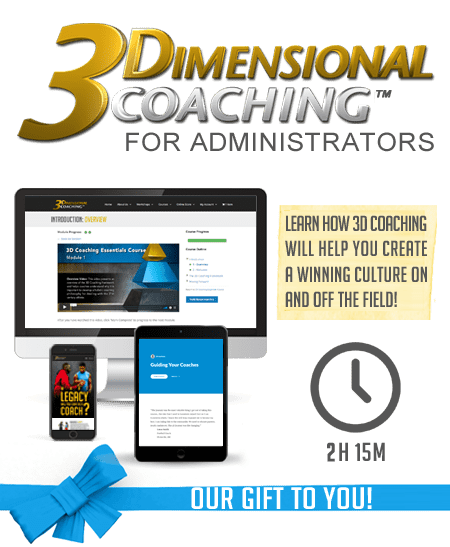 This course will help you understand how the 3Dimensional Coaching framework empowers administrators to create a transformational culture that breeds not only success on the athletic field, but significance beyond the scoreboard. To enroll in this free course, click “Add to Cart” and create your account through the shopping cart.